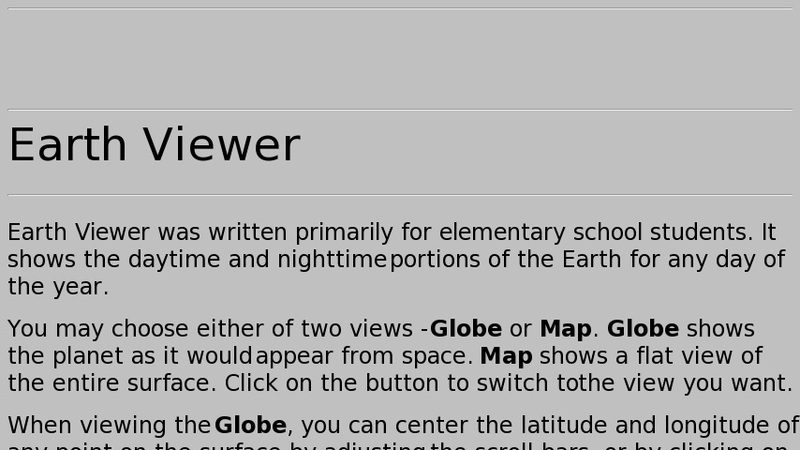 Earth Viewer was written primarily for elementary school students, and shows the daytime and nighttime portions of the Earth for any day of the year. Two views of the Earth are possible: a globe shows the planet as it would appear from space, and a map shows a flat view of the entire surface. The image can be animated or still, and set to any desired latitude and longitude.